I'm working on keeping up with the Project Inspiration series that showcases inspiring projects for each season/holiday. I've only made two of these previously for St. Patrick's Day and Easter, but I think they're a great way to give and get a little crafty motivation. Today I'm focusing on Earth Day. The observance of Earth Day occurs on April 22 each year, and according to the Old Farmer's Almanac, the observance began in 1970 to gather attention about environmental issues. The Earth Day Network has made this year's focus on putting an end to plastic pollution. There are loads of links and information on their site about this endeavor and the harmful effects of plastics on our environment. Of course, you can also make your Earth Day about planting a tree or collecting trash or any other activity that makes our world a cleaner place to live. 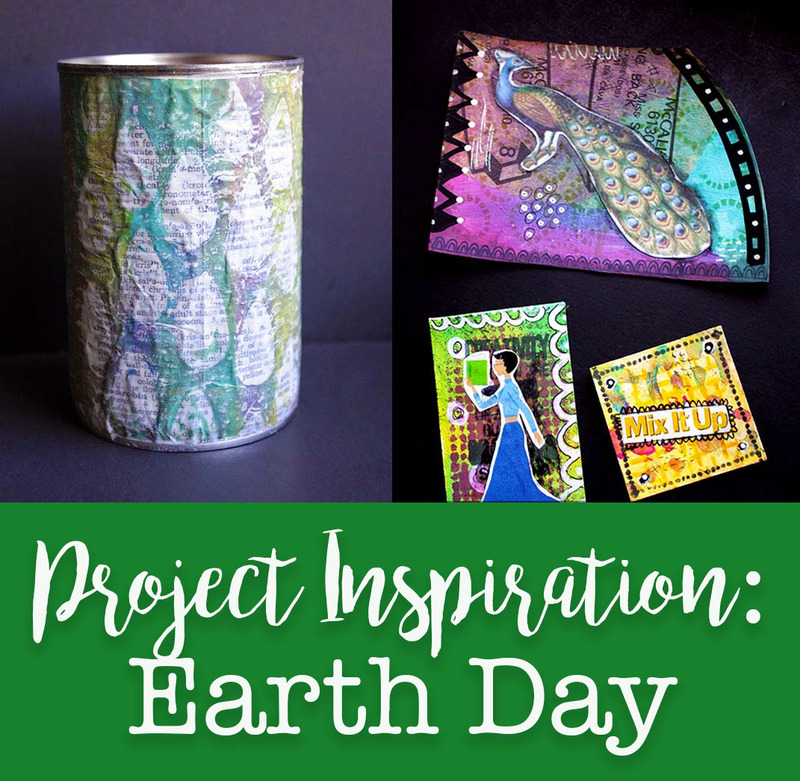 Here are some of the crafty projects I've found for Earth Day. This first one is all about recycling AND planting. What's better than a two-for-one? Chelsey at Buggy and Buddy shares how to Make Seed Balls out of Recycled Paper. Spreading green and reducing waste will make your heart happy. I've always dreamed of having a greenhouse made from old windows like this one from Apartment Therapy. Again, it's not only recycling old windows but also promotes planting. Win-win! If repurposing and recycling in a quick project is more your speed, you've come to the right place - that's my speed too. 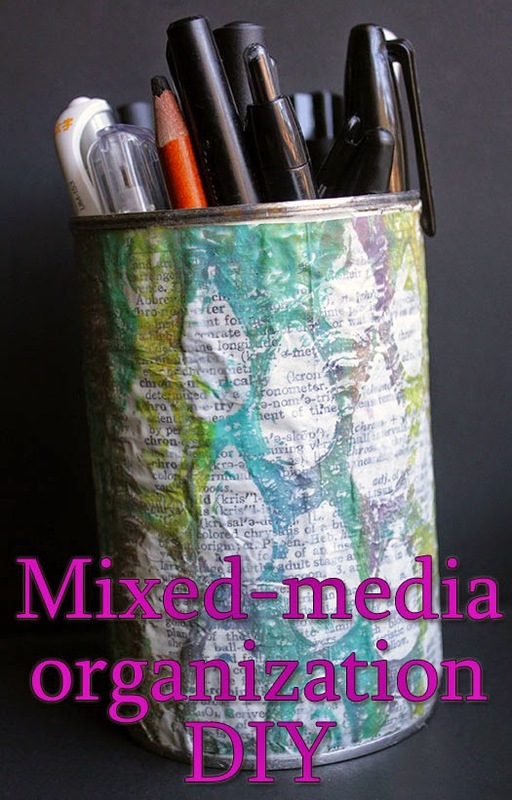 Upcycling tin cans into something functional has been a popular project for ages, and it just never gets old. 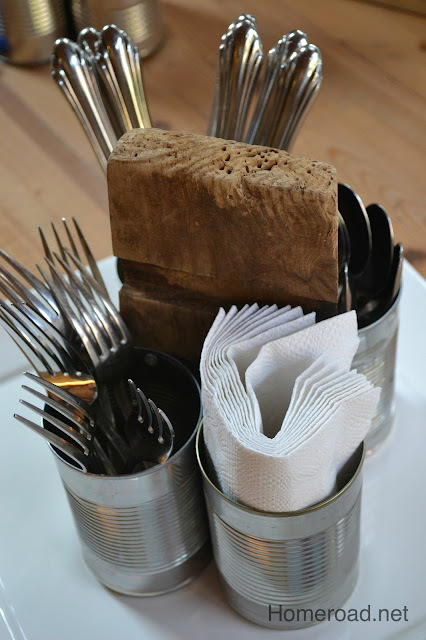 This Rustic Recycled Tin Can Organizer from Homeroad showcases a new take on the tin-can organizer. 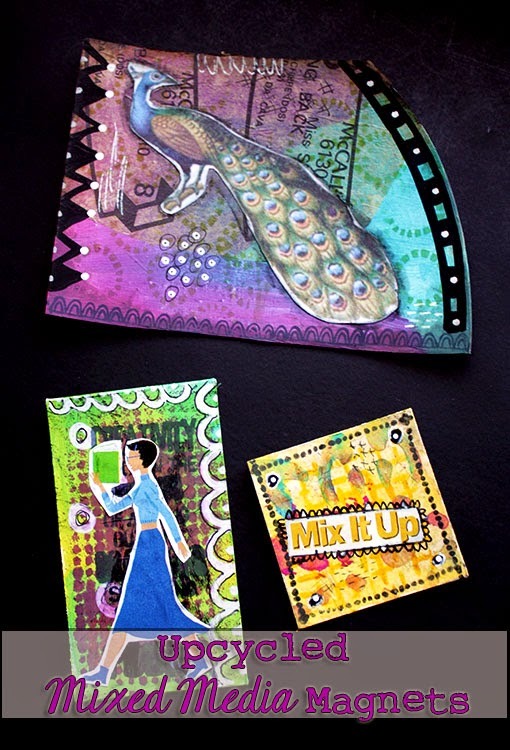 I've even made my own versions of the simple project, integrating a little mixed-media art to jazz up my organizing. 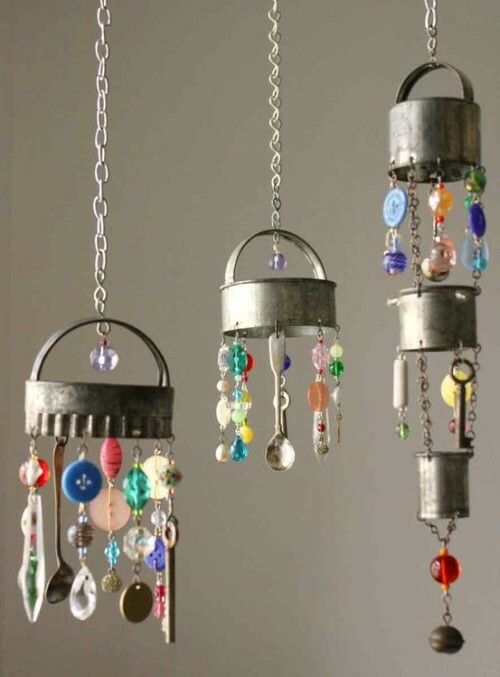 There's something really special about these junk drawer windchimes I found on WallaceGardens. 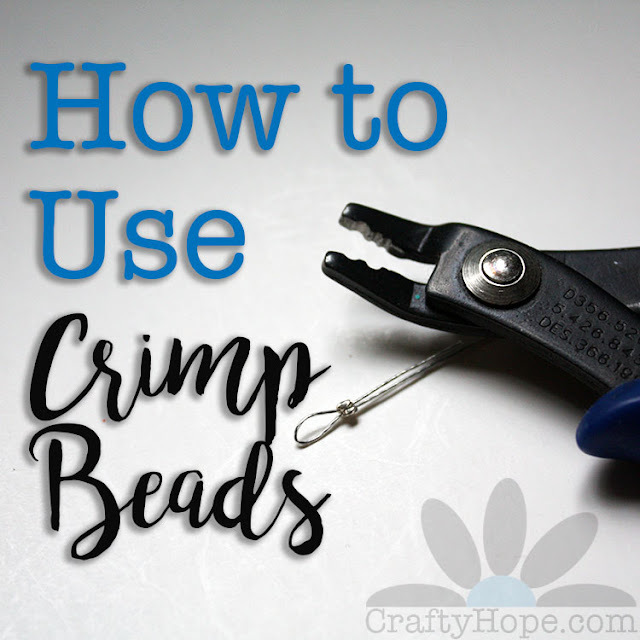 Think of all the little bits and pieces you can wire up and upcycle into these. And, even better - use one of those tin cans as the base! Yeah, I may have to make one (or two or an army) of these. Take a look around your home and find ways to improve and re-use something you might otherwise throw away. I made these Upcycled Mixed Media Magnets from advertising magnets that were destined for the trash. The were fun to make too. 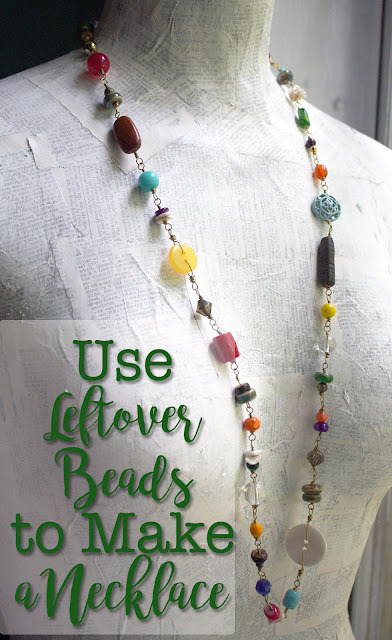 How about repurposing some of those finds from the thrift store? I know I've found embroidery hoops, lace and ribbon, and old doilies at my local thrift stores. In fact, I've bought them. 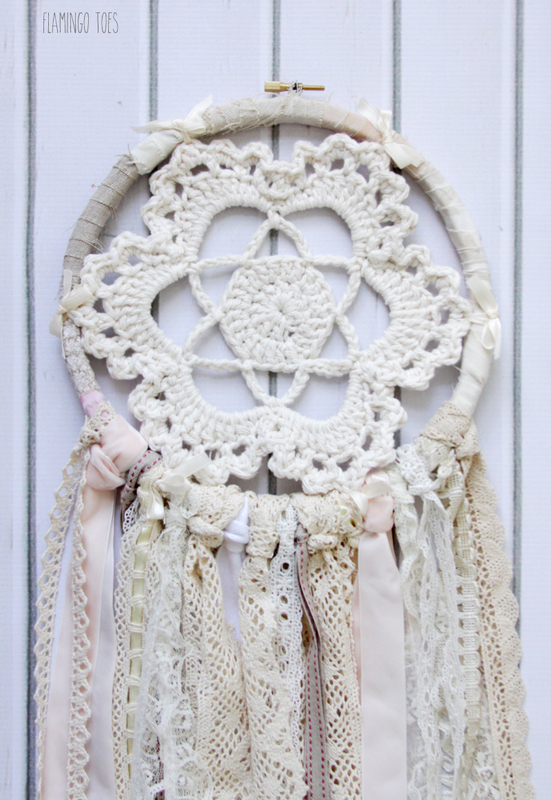 There's a distinct possibility I may make a Vintage Style Crochet and Lace Dreamcatcher like this one from Flamingo Toes. It's dreamy, isn't it? You can also use those thrift store finds to help others, like the birds. Sadie Seasongoods has gathered 20 Upcycled Ideas for Birds. These projects are not only eco-friendly, they're also pretty cute too. Of course, if you want to make something that's specifically for Earth Day, you can download this Earth Day Cross Stitch Pattern from Serenitas Designs. That's just a few of the ideas out there for projects you can make to embrace Earth Day. I'd love to know if you have any ideas or projects you turn to to help the planet. Let me know in the comments! Divya, Yes! I love the wind chimes too and just made two of them!! Ha. I did a video tutorial too of how I made them but need to edit and upload it, so it'll be a few days for that. I've already posted a peek of them on Instagram since I did it for my #The100DayProject. I used tuna cans for the tops, but I'm sure there are all kinds of options you could find. I hope you share yours! I really like the junk drawer windchimes. I love your Earth Day theme and great suggestions. There should be something here for nearly everyone. Kathy, Aren't those great? I actually was so inspired by my own post that I made some of my own version of those today. I'm hoping to get a tutorial up soon of how I made them, especially since I couldn't find a link to the original post about the image. I think finding ways to reuse and recycle in this day and age is really important. We can't just keep adding to the pile. 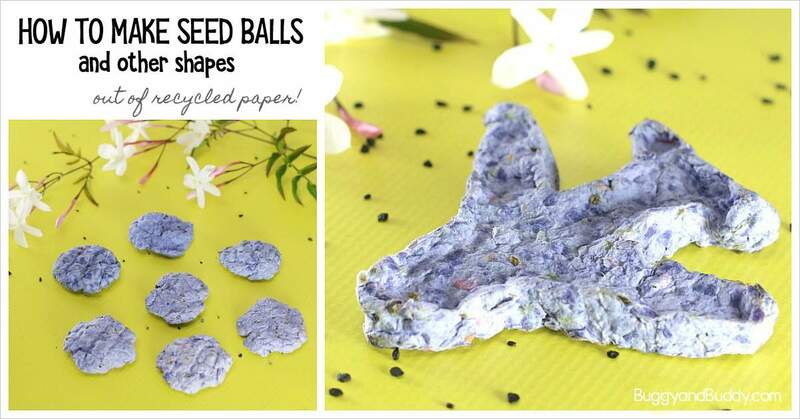 hello, the link for Make Seed Balls out of Recycled Paper takes you to a jpeg. do you still have the link stored?